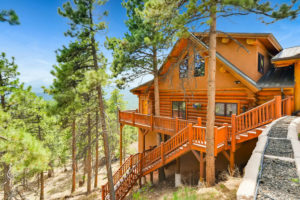 The Pikes Peak region is full of hidden gems, and our homes are the perfect starting point for a unique and memorable vacation. Let us help you plan a great trip! Our Catamount Cabin is nestled in the foothills of Pikes Peak near Catamount Reservoir. Our Catamount Cabin is every outdoor adventurer’s paradise. It’s close to hiking trails and popular Catamount Reservoir. Explore the great outdoors during the day, and come home to our luxurious cabin at night. Book Now! Give us a call, or book online anytime through VRBO. Make our Florissant Family Retreat your home away from home! Our Florissant Family Retreat is perfect for your next reunion or family vacation. 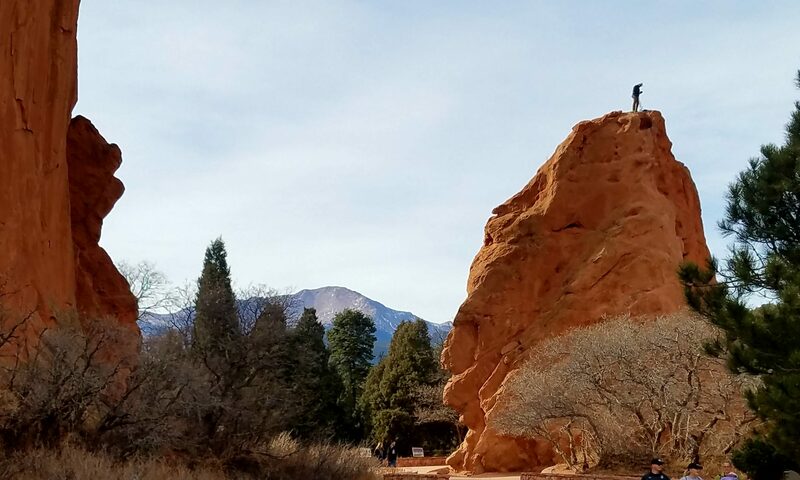 It has everything you need to settle in and spend some quality time together, but it’s close enough to major attractions for great day-trips if you want to explore the Pikes Peak region! 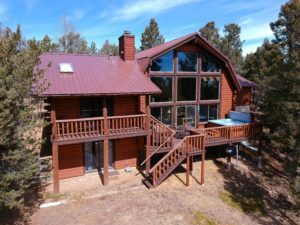 This home is perched above the hills near Woodland Park with views of Pikes Peak! Visit our luxurious family lodge in the hills of Woodland Park. This 18-person cabin is minutes from Woodland Park and surrounding attractions, but you may never want to leave. The view is the best of the best, and the lodge is first class. It’s roomy, warm and inviting for the whole family, and everything you can imagine for a true Colorado experience. 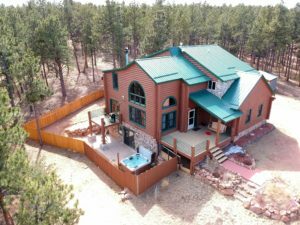 Curl up by the fire, take a dip in the hot tub, unwind while playing some pool or enjoy the view of rolling mountains with Pikes Peak rising up behind! Our Couple’s Retreat is walking distance to parks, shops and food. It’s next door to a spa and close to great hiking, so whether you want to relax or test your mountaineering skills, this place has it all. Our Couple’s Retreat is just that – it’s the perfect place for some R&R or some outdoor exploring with your better half. 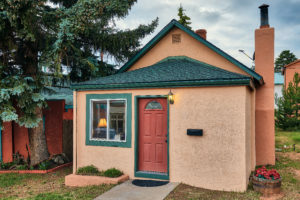 Located in the heart of historic downtown Woodland Park, this home is in the best location to try local breweries, visit local shops or take a stroll on walking trails. 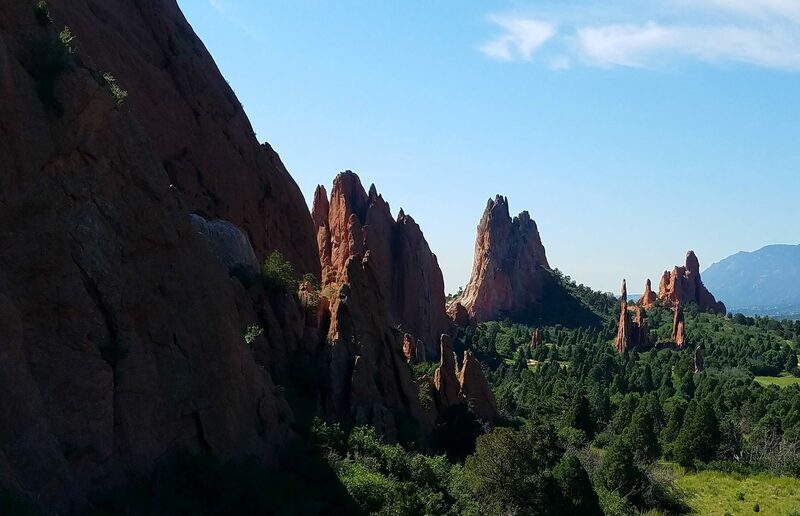 Major attractions like Pikes Peak and Garden of the Gods are just minutes down the road! Book Now! Give us a call, or book online anytime through VRBO – or – Airbnb.